The draw will be on Thursday evening 18th April at KKC dojo! 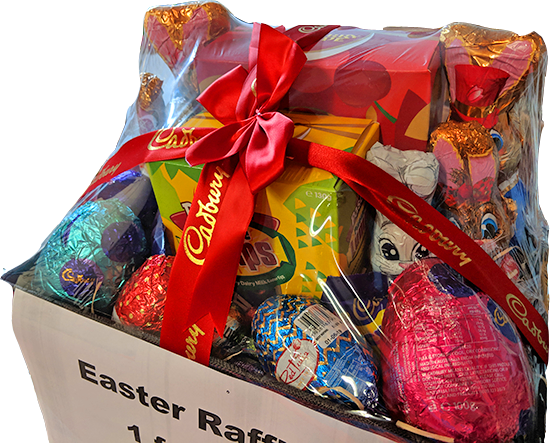 We have a hamper full of Easter eggs and chocolate bunnies etc... just aching to be taken home by someone. Raffles are being sold in both dojo, $2 for one ticket, $5 for 3 tickets. Come and see me about tickets if you want to be in on it. Just over half you have have already brought back your "sales" earnings, and as a dojo, we've collected over $1500 so far - thanks very much for your efforts. But we need to get all the others back soon too. Those of you who are still holding out, could you please get the money to me BEFORE the Easter weekend, please? Classes, as usual, are not running during the holidays - but again, as usual, Newtown students are encouraged to come to Petersham so as not to lose whatever they've learnt during the past term. Adult classes - all normal - Mondays and Thursdays now (new schedule), including Easter Monday. Have you joined our Kuro Obi dojo Facebook group yet. For the few uninitiated, this is not the same as the Kuro Obi Facebook Page. This is a closed group just for Kuro Obi dojo members, for information that is just dojo related and doesn't need to be on the main Dojo page. If you have a Facebook account, and you're not already in the group, please request to join, so that I maybe I'll be able to send out fewer emails to you in the future.